I am pretty sure all larger companies and governmental structures use VPN on a day-to-day basis, that’s pretty much who VPN was developed for initially. VPN is a virtual private network that extends a private network across a public network, thus letting its users send and receive data over shared or public networks as if their devices were directly connected to a private network. VPN helps a lot in keeping communications and personal data safe. A simple explanation of what VPN does would be: you are located in Europe, but with the VPN on you can make it seem as if you are connected to the Internet from North America. Many users feel worried about the fact that they have to carry out so many operations online. It can be paying the bills, shopping with your credit card, checking your balance in the bank account. They have an absolute right to be worried, as this information can become easily available to hackers. This is why more and more users these day choose to access Internet through VPN to keep their online activities, communications, geographical location, and IP address secure. As VPN services are in high demand, there is an increasing number of them offered for purchase. However one should do some research before jumping on this train, as with the bigger splash comes a bigger chance of obtaining a service of a poor quality that may not cover your tracks as promised and frustrate you with its low connection speeds. 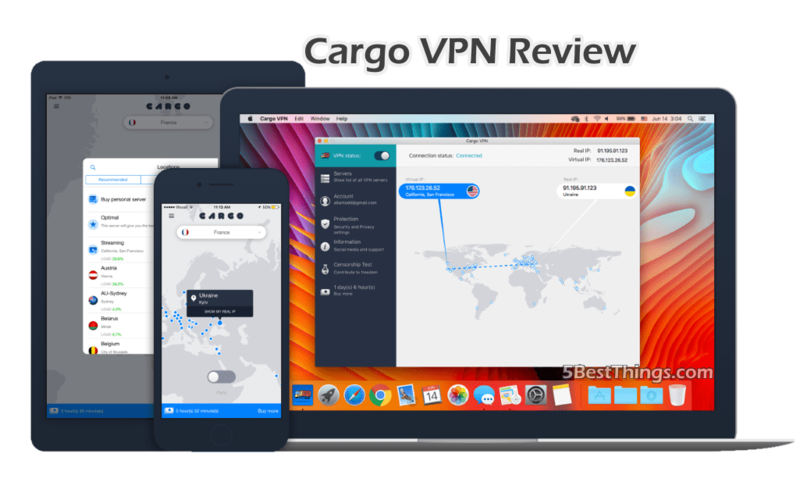 One of the VPN services on the market right now is Cargo VPN developed by Eltima Software. Eltima did not emerge out of nowhere just now – they’ve been around for years and have a large amount of other products they develop, distribute, and maintain. 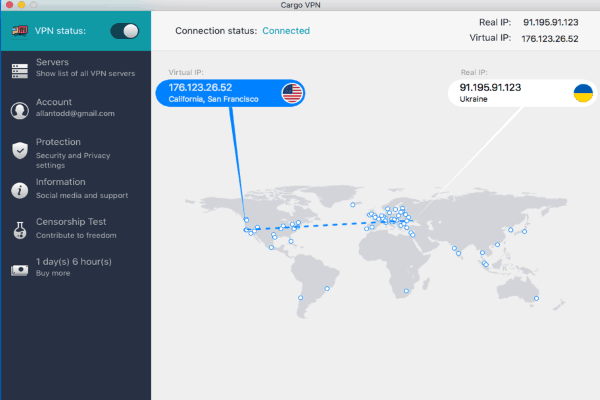 Cargo VPN highlights are DNS Firewall for blocking malicious websites, and extensive coverage. Security and privacy are the main aspects of every VPN solution, and Cargo VPN keeps everything under control with 256-bit data encryption and keeps your IP address and personal communications cloaked. Did you know that save some money when you are using VPN? Depending on the settings you use, you can get good deals on flights, car rental, hotel accommodations, as services like that like to base their prices on clients’ locations. Speed can be an issue… Usually using VPN means cutting back on Internet connection speed, which is logical, but are you ready for it? It depends on your priorities at the moment, however still something to keep in mind when connecting through VPN. Cargo VPN advertises a high connection speed anyway with their 70+ locations worldwide served by 1000+ high-speed and reliable servers. According to their website this gives you a fast and constant access through to any website or service from any continent at a good speed rate. 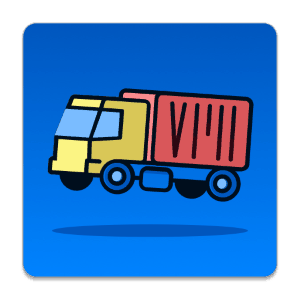 Cargo VPN can be downloaded for free from the Mac App Store and is also offered as VPN for iPhone and VPN for iPad. It has a free 24-hour trial and then if you are content with this service you can get a subscription satisfying your needs: one month will cost you $9.99, 1 year – $49.99 ($4.17/mo), and 3 years – $99.99 ($2.78/mo). Keep in mind that one subscription allows connecting up to 5 Macs within an account. In-app purchases available additionally are Personal Static IP, Personal Server for higher level of speed and protection, and slots for more devices. All in all Cargo VPN makes a good investment for those who don’t want to risk their personal data, bank account safety, and also those who just want to be able to access their favorite content even if the country they are currently traveling to blocks certain websites. Active torrent users also appreciate VPN solutions for obvious reasons. Whether using a VPN or not, have a happy browsing and stay safe, everyone!